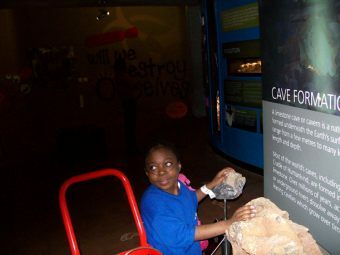 Rumbi, aged 11, is blind and on permanent oxygen supply � but that did not stop her exploring the fascinating Cradle of Humankind�s Maropeng Educational Centre today. She was fascinated by all the exhibits and especially by the underground boat ride. Thanks to all who made outing possible.